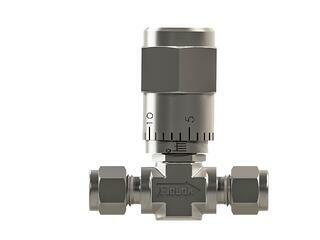 500 Series Metering Valves are designed for analyizers, instrumentation, laboratory and other applications where accurate control of flow is required. 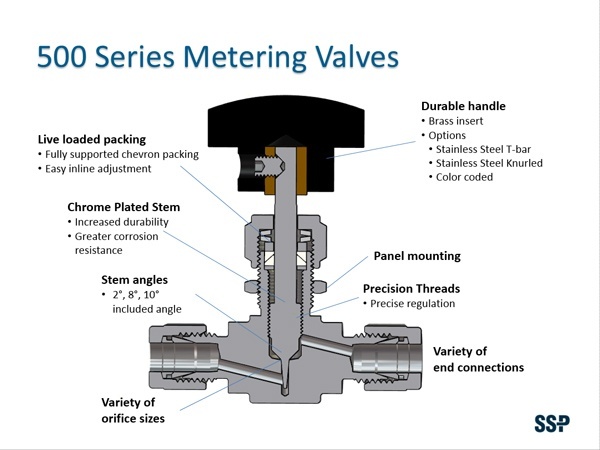 Select metering valves for your applications. Orifice: 0.047, 0.62, 0.78, 0.94, 0.125, 0.144, 0.172 and 0.250 in. End Connections: Duolok, Griplok, Unilok tube end and NPT and BSPT pipe ends.